Winter is coming, but it is hard to tell. Bozeman nearly reached the 60's today, and I played frisbee golf comfortably with a T-shirt on. But I am wary, for soon, the cold winter days and nights will be forcibly made real in my life. In approximately 10 days, I will be entering Yellowstone National Park, not as a casual observer, but as a research technician. I suspect that my entry into the park will have the familiar feelings of arriving "home," for I have spent much time within the park and am quite familiar with it. But it will be quite different as well. As clearly stated in the research manual, "doing research in the world’s first national park is by no means a right, rather it is an incredible privilege—one that could quickly be revoked. We are dealing with extremely high-profile, controversial, and sensitive resource issues with a variety of stakeholders, and thus we are held to much higher standards of conduct than researchers might be elsewhere." The study is the longest running ecology project in the park. The work that I perform, the data that I collect, and the manner in which I behave is serious stuff! This is kinda intimidating for a skinny little dude who will probably freeze to death half way through the winter! And the manual for the study is 62 pages long! Sheesh. So what is the project? The study is aimed at "elucidating the ecological relations between wolves, elk and bison in concert with examining the relationship between climatic conditions, snow, vegetation, and topographical and geological processes within the Madison-Gibon-Firehole" drainages of Yellowstone National Park (http://www.homepage.montana.edu/~rgarrott/index.htm). 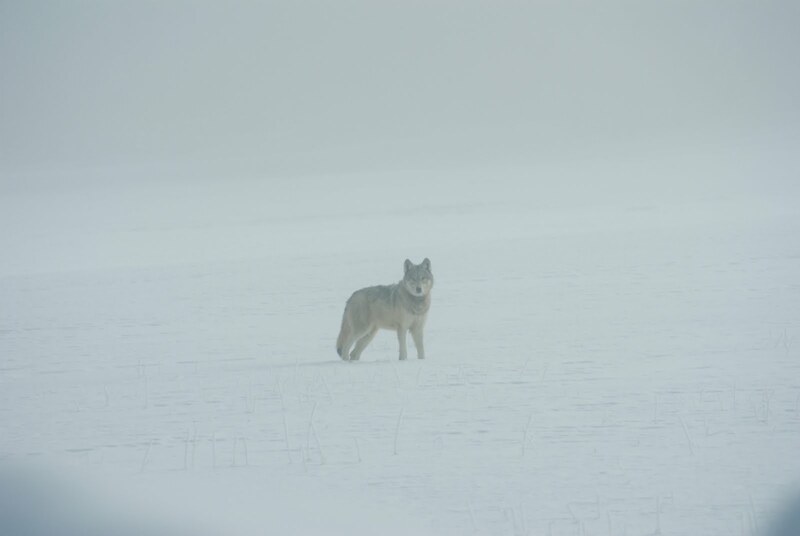 The project started in 1991, thus providing pre- and post-wolf data--a highly unique study. I have promised five and a half months of my life for the project, but I suspect that I won't regret it. The snow may fall sideways, my fingers may freeze together or fall off, and I may have a behemoth beard with a tendency to talk to myself out of the corner of my mouth, but I will endure to the end. Dear friends...pray for me!! Thoroughly excited for you, LOVE that we will be able to read the diary of your thoughts, events, feelings: the experience. YES to YOU.